It’s been a little over three weeks since I last shared anything with you. My life has taken a few weird twists and turns in the past month. I made an effort after PopCon to put my family first. I have sidelined them so many times in the past to chase my dreams and that is not what I want. I want them to be financially secure and that requires me to strive for success, but I can’t abandon them in the efforts to provide for them… I need to figure out a way to include them. So, that’s what I’ve been doing. I haven’t been sitting completely idle however, I’ve been working on little things here and there, and even did some artwork for friends! 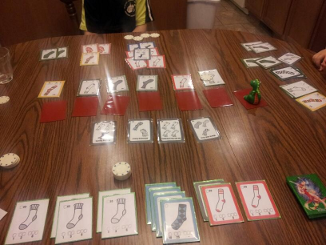 My main focus over the past couple of weeks has been finalizing Sock Monster. I want to get the game state down so I can focus on finishing the rules. I’m going to make this one available as a print and play, but I’m also going to pitch it to publishers. I will be targeting family-friendly publishers, because that’s what this game is. If you know of any hobby publishers (or you are one!) that might be interested in this type of game, please let me know, and I’ll contact them as well. It’s a simple set-collection game at the core, but it also offers some interesting decisions that aren’t beyond the grasp of a younger audience. 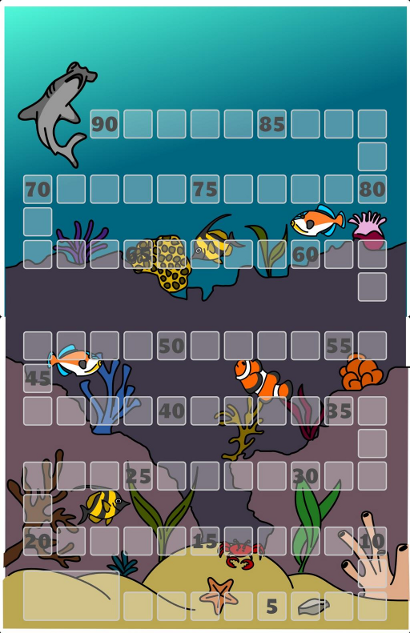 Most set collection games I have played are a bit too involved for the under 10 crowd and I wanted to work on something that could teach them the values of set collection games, as well as managing revolving income, without overwhelming them. I think I’ve achieved that and while this is not a deep strategy game that gamers will enjoy for hours at game night, I think gamer parents will be able to use it to catapult their young geeks into more interesting games in the genre. I said last time that I was going to work on old designs. I didn’t. Dead End is still dead to me… not completely, I have a deep desire to finish it, but I’ve not yet taken a long enough break. I’ll tackle it as soon as I feel inspired by it again. Vic Venture is underway. I got some great playtester feedback on it and I’d really like to keep the ball rolling on it, I just… didn’t. I know what the next phase is for that game and for some reason I’m not motivated to get there. I actually started on the re-design of the cards, but I need to get some help on that. I would like to wrap this one up. We still haven’t playtested the changes to Hexploration or Princess Dice. I need to do that. The new idea I wrote about last time is dead. It was way too complex to achieve what I wanted. I don’t like playing three hour games, so why would I design one? I did, however, start on a new idea. By start, I mean that I wrote some notes on a yellow pad and did a bit of art. I think that part of my design process has to be art. I get excited when I draw things and work on the physical components. I’m not good at the art… no publisher I’m aware of would use it in a published design… but I’m okay at conceptualizing what I want and making a decent looking prototype. I like that. It gets me excited about the job at hand. The reason I did the art for this game is that I need physical components. 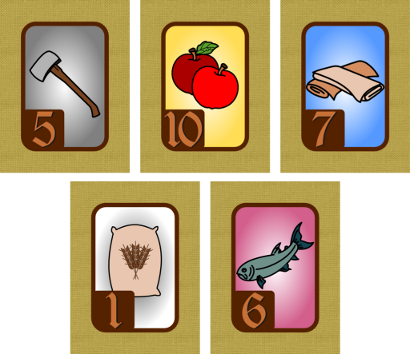 It’s going to be a pickup and deliver game and designing the board is a real challenge for me. I work better when I can visualize things spatially and having the physical components will really help me along. If you want to read about it, I put up a brain-dump on Google Docs. 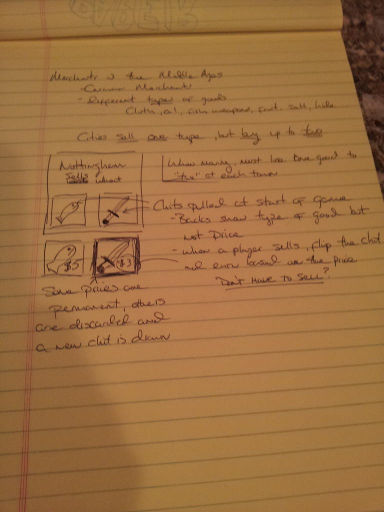 First up was @pottedmeat – I’ve been chatting with him for a while about a grocery game he’s worked on. His design style is really neat and the game looks awesome. Not only does it look awesome, it’s mathematically perfect. How did he achieve this!? Well, he wrote a computer simulator to “play” the game a few hundred thousand times and find the best routes through the map. This helped him build the optimal deck of cards… awesome. 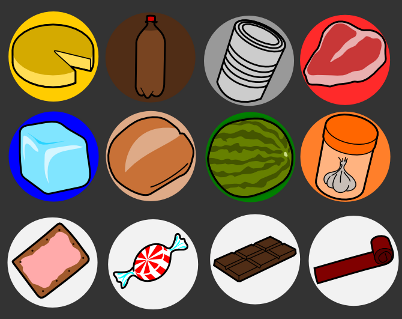 He asked me to do a set of icons for the tokens that represent groceries and this is what I came up with. They aren’t special, but I’m proud of them. I could add shadows and highlights and make them look more professionally done, but they are completely functional as they stand and that’s what I do. Functional art that doesn’t get in the way. Second was an unnamed friend working on an unnamed design with a theme you can only guess from a non-descript score track I made. I’d love to give more details, but I can’t. He will eventually. I had an absolute blast working on this one. It consumed about six hours of my work day while sitting at my desk. It was a snow-day, so there was no work to do, and having projects like this really helps keep me from going crazy while doing nothing. I spent a half-hour on this and didn’t feel like going farther. I could clean it up a bit and fix some of the perspective issues, but I think that adds to the charm of such an odd request. 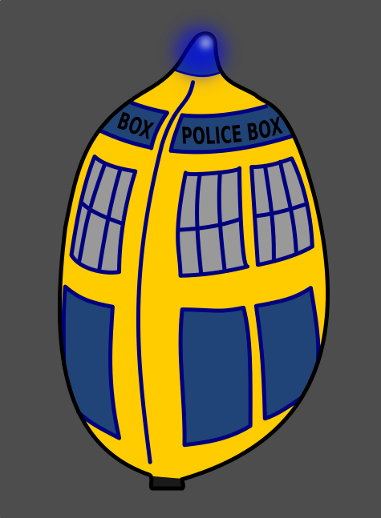 Not sure what this is for… or why I did it, but there it is in all it’s glory! Well, that’s it for the week. I hope to get some more work done in the coming weeks and get back into action here. We’ll see what the days ahead bring. Stay tuned!